Klych López was born in Cartago, Valle del Cauca province, but moved with his family to Tulua at a very young age. He is one of the most talented and prolific directors in Colombian television in recent years. His first feature film, the Colombian-French production Siempreviva (2015), produced by CMO Producciones, had its world premiere at the Montreal Film Festival. 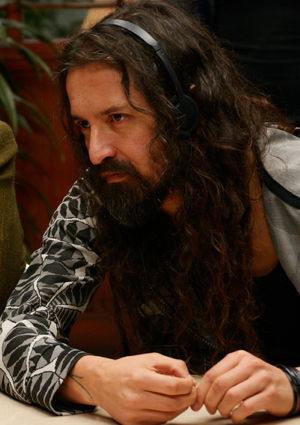 López has studied advanced screenwriting at the San Antonio de los Baños School of Film in Cuba and directing under director Enrique Pineda Barnet. In 2013 he participated in the Screenwriting Lab in Oaxaca, held as a collaboration between the Sundance Institute, Ibermedia, and INCAA, with his script Retrovisor. There he had the chance to work with prominent screenwriters like Zachary Sklar (nominated for an Oscar for JFK) and David and Janet Peoples (Blade Runner, 12 Monkeys). One of his most important works to date was the series Correo de Inocentes (2012), starring Margarita Rosa de Francisco and Peruvian Salvador del Solar, which he directed for CMO Producciones. Correo de Inocentes won him India Catalina awards for Best Director and Best Series, on top of six other awards it picked up at the 28th India Catalina Colombian Television Awards, held as part of the Cartagena International Film Festival (FICCI). “I wanted to do something like this, and especially to do it my way. I brought together people I trust, and I believe that Correo de inocentes made a big contribution to Colombian TV series." 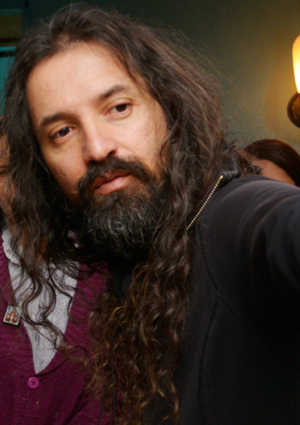 López also directed the hit series La Ronca de Oro (The Voice of Freedom, Helenita Vargas) (2015), winner of the India Catalina award for Best Series at the 31st India Catalina Awards, as well as awards for Best Female Lead, Best Female Villain, Best Male Villain, Best Original Score, and a nomination for best director. López directed the series Fugitivos for Canal Caracol and has worked as Creative Director with CMO Producciones since 2014, where he is currently developing several feature films, including El verde mar del olvido. 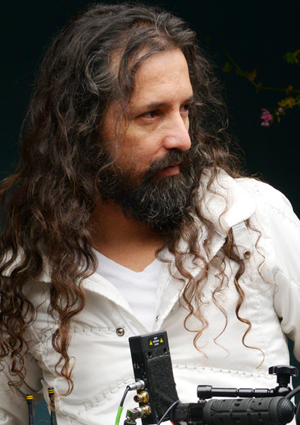 In 2011, he directed the series La Promesa (Broken Promises), shot in Spain, Mexico, Panama, and Colombia, which has been screened in more than fifteen countries. Broken Promises won awards in Mexico and Colombia for best series dealing with social issues, and in 2013 it won best series at the Florida Media Market’s Shift Awards. Also in television, in 2012 he directed the series El Capo 2 for FOX and the series El otro lado del fútbol for the Discovery Sports network, produced in Mexico, Brazil, Argentina, and Colombia. From 2008 to 2013, he was Creative Director at the Señal Colombia and CityTV networks, where he created an array of projects that strengthened the identity and innovation of Colombian television. These projects brought him five nominations and prizes at the prestigious PROMAX BDA international awards for TV networks. On the big screen, he directed the documentary film Run or Die, which depicts the tragedy of kidnapping in Colombia, for the Washington, D.C. based production company TPI, with a screenplay by Mike Tucker and Larry Hill as executive producer. In 2009, he won a grant to make the documentary “15 Years of Rock in the Park,” about the largest free music festival in Latin America, which was released in 2010 under the title A los 15 uno ya es grande. In short film, three of his screenplays have won incentive awards for filmmaking from the Film Development Fund (FDC): Apnea prolongada, Ciudad crónica, and Collar de perlas, which won on TNT’s reality show Proyecto 48. In addition, in 2012 he served as a member of the FDC jury for this category. 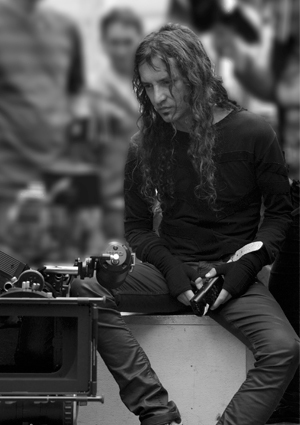 Klych López has received more than 20 nominations and 8 awards for his work, as well as awards for Best Music Video Director in 2009 and 2010 at the Shock Awards, which pays tribute to the best of music in Colombia. His debut film, Siempreviva (2015), combines bold acting with his focus as a director on social issues and historical memory in Colombia.